Vancouver is the largest metropolitan area in Western Canada, and third largest in Canada, with a population of 2.6 million. Located at the southwestern corner of the coastal province of British Columbia, it is well known for its majestic natural beauty, as it is nestled between the Coast Mountains and the Pacific Ocean. It is frequently ranked as one of the best cities to live in and is certainly a beautiful destination to visit. The City Centre is the heart of Vancouver's downtown and contain the city's Financial District, the Granville Entertainment district, and many of its hotels, clubs and historical buildings. For the visitor, it's a good place to make a base to explore Vancouver because of its easy access to public transit, shops and restaurants. And if you want to sample Vancouver's cuisine or nightlife, or take in the mountains and harbour, it's a great place to be. 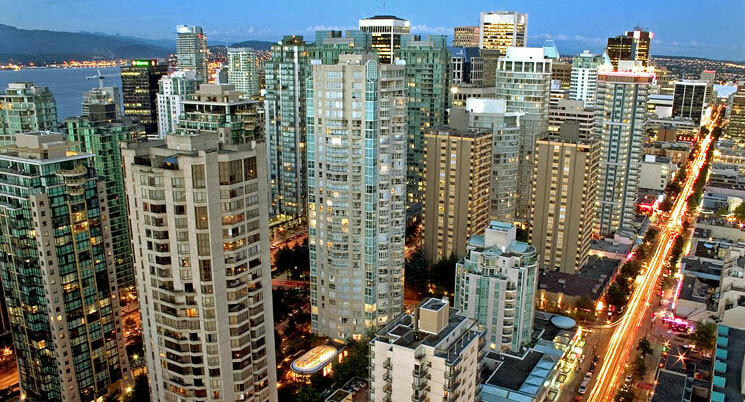 Vancouver BC resides within the Pacific Time Zone (UTC-7 hours). Daylight savings time will be in effect during the Integrative Fertility Symposium 2017. Learn more about Vancouver and timezones online. Canada has two official languages – English and French. English is the predominant language used in Vancouver, however Vanocuver is a multicultural mix where Chinese and Punjabi are also widely spoken by many residences and businesses. The currency used in Vancouver is CAD, short for the Canadian Dollar. All major credit cards are accepted in most hotels, shops and restaurants. Some shops and hotels will accept USD (US Dollars), however they so as a courtesy and this is not guaranteed. Furthermore, because USD is not official Canadian currency, such shops may set their own exchange rates which may not in line with official banking rates. Change to USD must be given in CAD, as per is the law in Canada. Please note: The Integrative Fertility Symposium uses USD for all listed and charged prices. Learn more about the current exchange rate of the Canadian Dollar online. All major credit cards are typically accepted within Canada. Banking hours in Canada are 9:30 a.m. to 4:30 p.m., Monday to Friday, with extended hours including weekends at some locations. Some properties and resort hotels include tips or gratuities to simplify bookkeeping. This will usually include gratuities for housekeeping, bell service and food service. If meals are included in the price, customary gratuity will be calculated at 15 per cent. Visitors should be advised that the standard tip in most restaurants is 15 to 18 per cent. Most goods and services including hotel rooms in British Columbia are subject to a 7% Provincial Sales Tax (PST) and a 5% Goods and Services Tax (GST) with the exception of liquor (10%). In Vancouver and most major cities in BC, there is an additional 2% hotel room tax on top of the 7% PST and 5% GST. Some hotels also collect a Destination Marketing Fee (DMF) of 1.5% for the purposes of destination marketing and promotion. Total taxes and DMF for Vancouver hotel rooms are 15.74% of the room rate. Many cell phone and wireless email providers do not provide service to Canada under their national plans, but do so under their international plans. We encourage symposium attendees to contact their individual cellular phone and wireless providers regarding temporary changes to their service plans prior to traveling to British Columbia. Warmed by Pacific Ocean currents and protected by a range of mountains, Vancouver enjoys mild temperatures year-round. You should plan on bringing a light rainproof jacket or fleece as our evenings can cool off. Click here for current Vancouver weather conditions. Outlets and voltage is 110, 60 hz. Wireless Internet will be provided for all attendees onsite at the Vancouver Integrative Fertility Symposium. Should you require medical assistance of a non-emergency nature, there are many private medical clinics in the surrounding area that visitors can access. Please note that all expenses must be paid up front unless alternative arrangements are made through your insurance provider. If your required medical assistance is of an emergency, you will be taken to a local hospital. Please note that all expenses must be paid up front unless alternative arrangements are made through your insurance provider. Smoking is not permitted by law in public buildings, on public transit, in shopping malls, and in most restaurants, pubs, nightclubs and casinos. Smoking is not permitted within 3 meters of a doorways, windows, or air intakes. In Vancouver the legal age of drinking is 19 years old. Please also note, that contrary to popular myth, possession of any quantity of marijuana is illegal in all provinces in Canada. Please check with your country’s requirements for travel to Canada.. The Vancouver Integrative Fertility Symposium can provide you with an official invitation letter upon request. Please Note: There have been some changes on visa requirements since last year for travel to Canada. The water quality in Vancouver is high and drinkable to our visitors.